The race to control the future of self-driving trucking just got even more competitive. 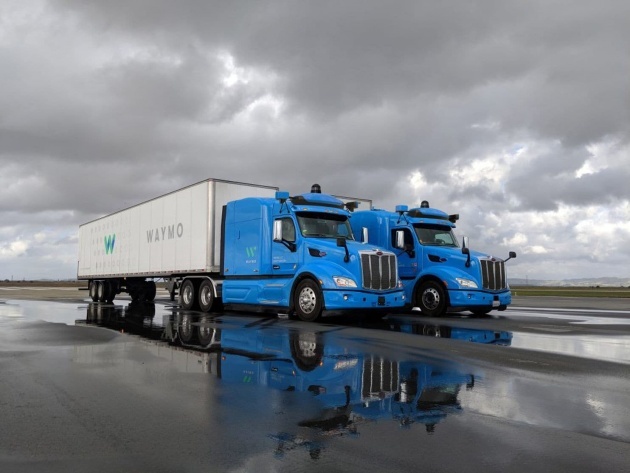 Beginning next week, Waymo — formerly known as Google’s self-driving car project — will roll out a pilot program in Atlanta where the company’s technology will power Peterbilt Class 8 trucks to carry cargo bound for Google’s data centers, the company announced Friday. The company’s engineers have been testing self-driving trucks in California and Arizona, the same state where a fleet of 600 autonomous Waymo taxis has been on the roads without a human driver since November. Waymo’s news is the latest in a series of recent announcements that reveal the increasing speed at which self-driving vehicles — including cars, taxis and trucks — are appearing on American roads.